Selecting a window covering that gives you an optimal view from inside your home while offering privacy from outside can be tough. One exciting new window covering concept from the 2014 International Window Coverings Expo was our 2” Doubleview Wood Blinds (Concept Only). These innovative new blinds concepts work through multi-tilt where the slats slide together and then open horizontally with a wider distance between each slat. Compared to other traditional wood blinds, the distance between the slats is double giving you a much clearer view outside (when you want it). 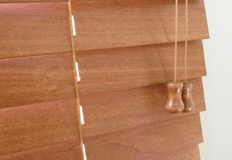 Depending on your design aesthetic, these blinds can come in wood or faux wood. And if you are looking for something to stand out a little more, this product comes in many painted and stained colors including a unique gloss black finish. 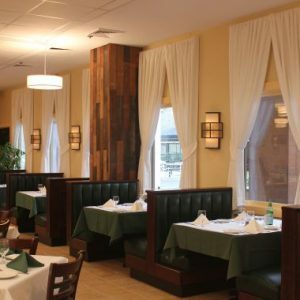 There are many options for this type of window covering to suit your palate and make your neighbor jealous, oh and don’t forget you will be able to see their jealousy through your wider view blinds. 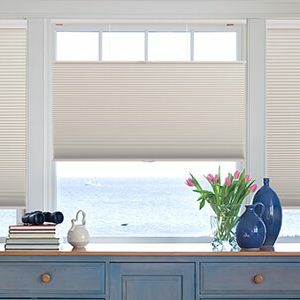 Need Help Choosing the Right Blinds? 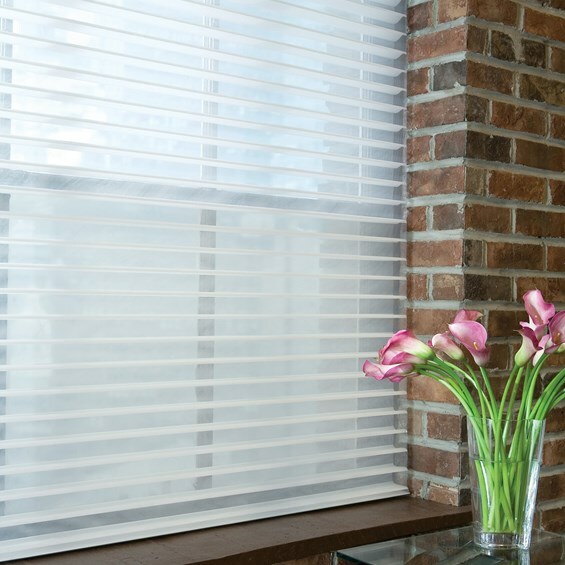 Call us at (888) 7-GLIDER or contact us to schedule an appointment to speak with one of our design consultants about window treatment ideas for your home or office.